We’re delighted to have two new trophy classes for this year’s dog show: Junior Handler of the Year and Best Puppy of the Year. 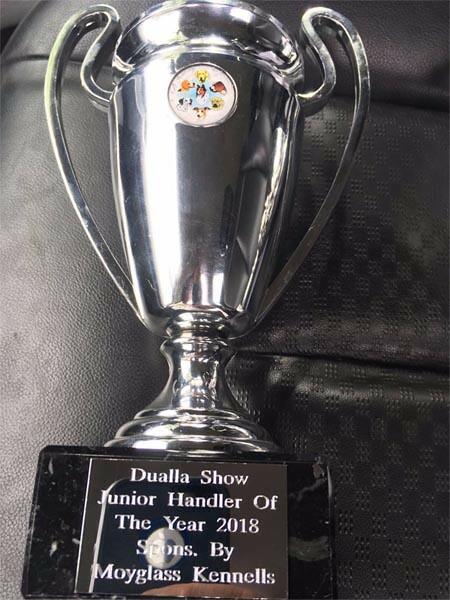 The winner of the new Junior Handler of the Year trophy will be chosen from the winners of the Best Boy Handler and Best Girl Handler classes (both under 14 years of age). 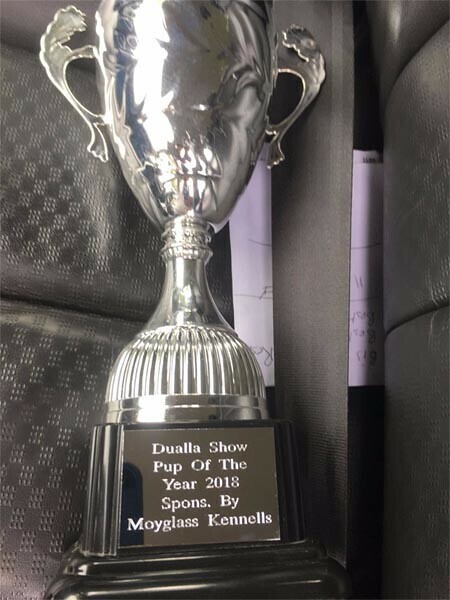 “Every year at Dualla we see the great care and attention young owners give to their dogs and this year we wanted to recognize that in the form of trophy” said John Smullen of Moyglass Kennels, judge and sponsor of the new trophy classes. The new Best Puppy of the Year class will look for the best puppy from across all the other classes. “We’re looking for a pup with good walk, balance and attitude” according to John, “an almost impossible task given the high quality we see every year but we have to be as objective as we can”. Entries to this year’s Dualla Dog Show are taken on the day by Marian Smullen at the dog ring section and judging begins at 2pm. Best of luck to all involved! 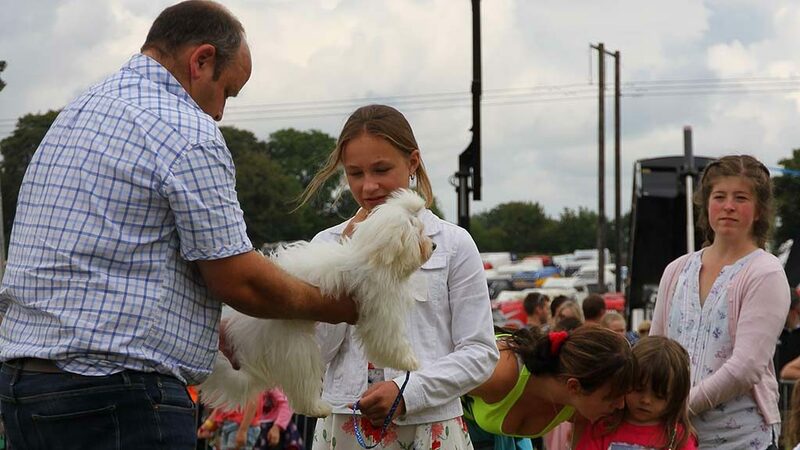 See Dog Show for photos and results from previous years.